Tartan ribbon strips, budget alternative to Printed Ribbon Packs. 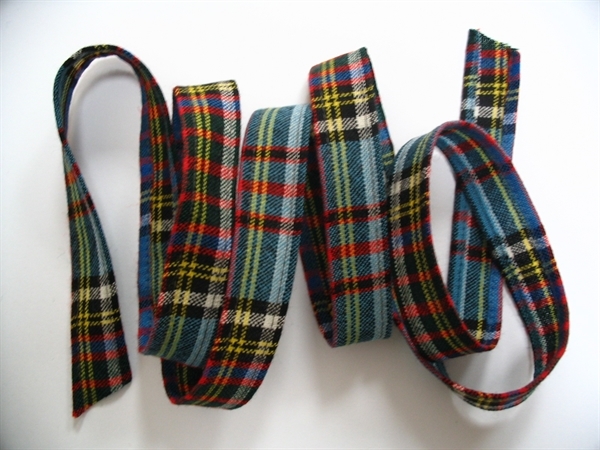 Order pack of 5 sewn strips, each 135cm long, specially made up in Lightweight wool tartan & hemmed down sides to produce a finished width of 25mm (1 inch). Great for weddings, table trimmings, dressmaking & gifts. If your tartan not available in this fabric, please see Ribbon in ANY tartan collection. Made to Order in Scotland, allow 2-3 weeks for delivery. 5 strips, 1 inch wide, machine-hemmed down both sides.Ends untrimmed. 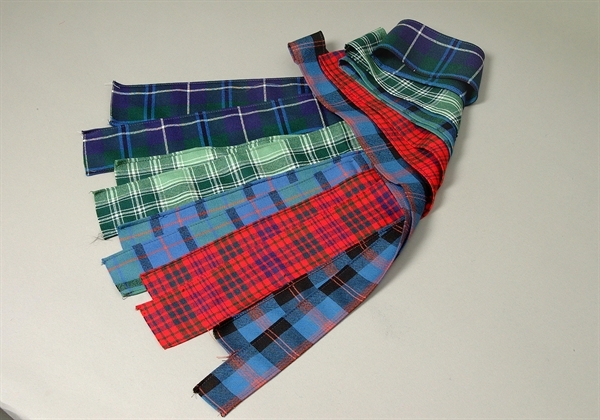 Over 500 available tartans, cut in the same wool fabric as used for ties & shawls.